Today I'd like to welcome Ann Whitely-Gillen, debut author of Last Train to Omaha. Q. Welcome to My Book Retreat. You mentioned in your email to me that you decided to write a book after undergoing surgery for breast cancer. What led you to that decision? Had you always wanted to be an author or did something about your experience with cancer lead you down that path? A. I was so caught up in grief and fear that I was desperate to do something that would allow me to express myself to the fullest. I had a dream one night after reading a poem entitled “Limited” by American poet, Carl Sandburg, and when I woke up, I reiterated the dream to my husband. He said “Ann, you need to write a book.” So I did, and it made me soar through my treatment and into full recovery. I created a safe haven for myself through my characters and their environment. Their journeys inspired me and as they have others who have read the book. For me, this is an incredible accomplishment – to be able to reach out to people and share this inspirational story about humanity, loss and rebirth. Before my diagnosis with breast cancer, I never really gave much thought to be an author, although I have always loved to write and I do so for a living as public relations and communications advisor. In my youth, I was always focused on being a musician or actress. I acted in plays and work in recording studios as a backup singer and sang in various bands, but as it turns out, becoming an author was in the cards all along! Q. Can you tell my readers a little about Last Train to Omaha? A. In short, Last Train to Omaha is a story of love, loss, and a broken man’s journey to rediscovery and rebirth. The protagonist, James Milligan, witnesses the horrific death of his best friend at the age of eighteen, and he is changed forever. Seventeen years later, he still lives as a ghost of his former self: shutting out those who love him most, navigating his life in a veil of solitude and drowning himself in anxiety and guilt. When James is introduced to Martin Diggs, an enigmatic war veteran, and Rebecca Doyle, a charming palliative care nurse, his life takes a dramatic shift. Rebecca reignites emotions he thought he’d lost forever, while Martin challenges him to face his shattered past and move forward. Q. How did you come up with the idea for that book? A. As I mentioned, I came across the poem Limited while reading the Anti-Cancer Book by David Servan-Schrieber and basically, he speaks about another doctor, Scott Peck, who used this very poem as the foundation to coaching his terminally ill patients through their death process. I was in absolute awe of this. Limited can be interpreted as a metaphor for life into death (we’re all on this train together and heading towards the end of the line at some point in our journey). I went to bed after reading this particular chapter, I dreamt about my main character, James Milligan and his ability to shepherd dying Veterans through their last moments on earth. Q. What are you working on now? Will you write another book? A. I’m working on two projects. First, I’m writing the screenplay for Last Train to Omaha and it’s quite the challenge but I’m really excited about bringing this story into a visual art format. I’m heading off to New York City next month for a workshop with Syd Field, the guru of screenplay writing. I’m also in the process of developing my storyboard for my next novel - “Egan’s Will,” is the working title. Q. What sorts of relationships and experiences do you most like to explore in your writing? A. I love to write about real connections between people – and how fate plays an integral part in bringing people together under certain circumstances. What I love most about the relationships between the characters in Last Train to Omaha, is their vulnerabilities as humans – their need to love, be loved and understood. Q. What genres and authors do you most enjoy reading? A. I love traditional fiction and sometimes, depending on the person, autobiographies. Regarding authors, my all-time favourite is D.H. Lawrence. I really enjoy Wally Lamb, the many works of Charlotte Bronte, and I absolutely love Canadian author, Beverley Stone – No Beautiful Shore is one of the best books I’ve ever read. Q. What do you enjoy doing when you're not reading? A. I’m still singing. I’m part of a great acoustic band here in Ottawa and it’s so much fun. I love to read, I enjoy going to art galleries, the National Art Centre to see shows, and going to the movies. I also enjoy spending time with my wonderful family, friends and sharing a glass (or two) of Merlot. Thank you so much for joining me here at My Book Retreat! 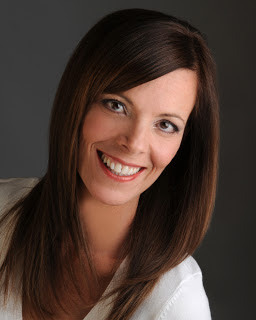 You can connect with Ann Whitely-Gillen on her website, Facebook, Goodreads, and Twitter. After a horrific accident claims the life of his best friend at the age of eighteen, James Milligan is changed forever. For the next seventeen years, he lives as a ghost of his former self: shutting out those who love him most, navigating his life in a veil of solitude and drowning himself in anxiety and guilt. When a chance encounter introduces him to Martin Diggs, an enigmatic war veteran, and palliative care nurse Rebecca Doyle, his life is changed irrevocably. Rebecca reignites emotions he thought he’d lost forever, and Martin challenges him to accept his shattered past and move forward. Told with compassion and wisdom, Last Train to Omaha is the story of a broken man gaining the strength to let go of the crippling blame and doubt that plague him, pick up the pieces of his life and put them back together.